Talk One - Thursday 1st August, 2.00 - 3.00pm. ‘Out of the Dark’. This talk will begin at the end of the period that we used to call the Dark Ages. It will focus on the Battle of Carham (1016 or 1018) which established the River Tweed as the de facto border between England and Scotland and the period up to the beginning of the Scottish Wars of Independence in 1268. Talk Two - Thursday 8th August, 2.00 - 3.00pm. ‘The Struggle for Independence’. This talk will cover the two Wars of Scottish Independence (1268 to 1357). We will look in detail at the battles of Halidon Hill (1333) and Neville's Cross (1346) where David II, king of Scotland, was captured. Talk Three - Thursday 15th August, 2.00 - 3.00pm. ‘An Uneasy Peace’. This talk will look at the continuing incursions and counter-incursions that characterised the period following the Treaty of Berwick (1357), which was supposed to bring an end to war between the two nations. This is the age of Harry Hotspur who will be the focus of this talk at the battles of Otterburn (1388) and Homildon Hill (1402). The latter is one of the most important battles in the development of warfare but is largely unknown to the public. Talk Four - Thursday 22nd August, 2.00 - 3.00pm. ‘The Coming of the Tudors’. This talk will summarise the continuation of sporadic fighting during the fifteenth century leading to the Battle of Flodden (1513) and the death of James IV of Scotland. 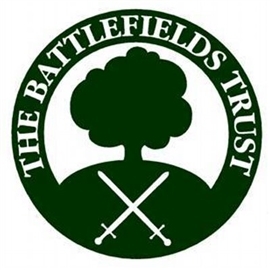 This year sees the 500th anniversary of the battle which we will consider in some detail. If there is sufficient interest we will conclude the series with a visit to the battlefields of Flodden and Homildon Hill. Both are near to Wooler. Standing on the ground is the best way to understand how these battles were fought. Richard III - What next?